Discover a new side of Omaha. My wife, Diane, has a thing for neighborhoods and the stories that come with them. South 24th Street was at the top of her list to visit and she suggested an afternoon outing. I agreed—with one condition: I wanted Mexican food. Not the fast-food kind—I demanded authenticity. She suggested we take time to learn a lesson or two about South Omaha’s history alongside lunch. We planned to spend the afternoon exploring what South 24th Street was in its early days and what it has become. We’ve lived in Omaha for nearly 30 years, yet we know little about this part of the city. I promised to find someone who could give us a primer in South Omaha history before we went to lunch. Step back in time in South Omaha. My friend Vince Furlong came to my rescue. He leads walking tours of South 24th Street for Restoration Exchange Omaha, and he provided me with a basic overview of South Omaha’s history. The area originally formed as a community for eastern and southern European immigrants. It went through a transition in the 1960s and ‘70s, and emerged in the 1980s as a Latino community. That’s the simple version. But a mention of South Omaha’s history must include conversation about cattle. Omaha was king of cattle in the 1950s and ‘60s when our stockyards were the busiest in the nation. Those days are gone, but a few reminders remain—and Furlong recommended we stop at the intersection of 24th and N streets, and look west. “You’ll be looking at the most important building in Omaha’s history. That’s my opinion.” I think I agree. The Livestock Exchange Building served as the centerpiece of the Union Stockyards back in the day and the 10-story, brick building still dominates the landscape as the home of a community health center, reception venue and apartments. Try a sweet treat at one of Omaha’s delicious bakeries. Our tour of South 24th Street began with a visit to the International Bakery. There were so many tempting options and Diane chose an empanada de crema, while I selected a cuerno, which consisted of twisted tan and yellow dough. We enjoyed a lively walk up and down 24th Street; noting the streetscape, which featured a vine-paving pattern that connects pods, benches and leaf-shaped planters. Along the way, we stopped at El Vaquero Imports, where we learned about Tribal boots, which often are worn with western shirts and skinny jeans. Longtime employee Maria Sanchez stepped out from behind the counter and told us that these boots, whose tips seem to stretch forever, are popular with young people who wear them when dancing. “So if I had a pair,” I asked, “where would I wear them for a night on the town?” Maria smiled as she replied: “Guaca Maya,” the nearby restaurant and nightclub. Fun fact: Maria told us the cast of Glee wore El Vaquero Imports’ tribal boots in an episode. Get authentic food on Historic South 24th. A final history lesson can be found a block from 24th Street at El Museo Latino, I was surprised to learn that it’s the first Latino art and history museum in the Midwest. It’s a cozy culturally-focused place dedicated to preserving Mexican traditions. Since it offers both permanent and temporary exhibits, there’s always something new to enjoy. When we visited we enjoyed original works created by local artists, which really gave us an appreciation of Omaha’s rich Latino history. Our adventure started with a conversation about food and would end that way—with history tucked inside. Lunch was at El Alamo, where we ordered No. 15 ½ from the menu. The item number was intriguing and so was the promise of a tender chicken breast marinated in a family recipe of raisins, almonds and orange juice. It proved to be full of flavor with a touch of sweetness, and the warm tortillas were the perfect complement to the dish. To complete our afternoon, we stopped at Helado Santa Fe for ice cream—a perfectly refreshing treat on a hot summer afternoon. While our lunch and ice cream were delicious, we agreed that the highlight of our visit to South Omaha had nothing to do with food. Our three-hour stint in South Omaha helped us better appreciate that we live in a fascinating multi-cultural community with a rich and vibrant past. 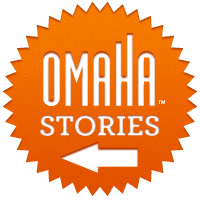 Request a free visitors guide and plan your own cultural exploration in Omaha today.